Figure 5 Because Earth is curved, latitudes farther from the equator are colder than latitudes near the equator. Figure 6 The stunted growth of these trees is a result of abiotic factors. Elevation If you have climbed or driven up a mountain, you probably noticed that the temperature got cooler as you went higher. A region's elevation, or distance above sea level, affects its temperature. 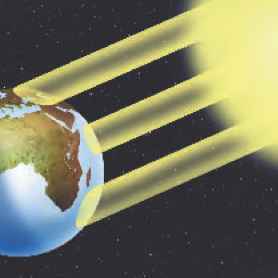 Earth's atmosphere acts as insulation that traps the Sun's heat. At higher elevations, the atmosphere is thinner than it is at lower elevations. Air becomes warmer when sunlight heats the air molecules. Because there are fewer air molecules at higher elevations, air temperatures there tend to be cooler. 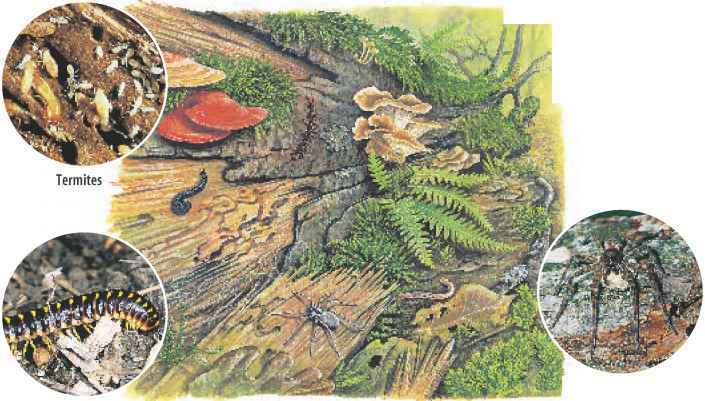 At higher elevations, trees are shorter and the ground is rocky, as shown in Figure 6. 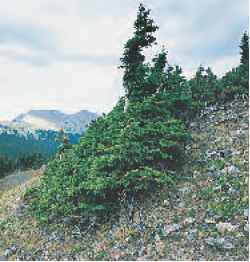 Above the timberline—the elevation beyond which trees do not grow—plant life is limited to low-growing plants. The tops of some mountains are so cold that no plants can survive. Some mountain peaks are covered with snow year-round. TEMPERATURE CHANGES You climb a mountain and record the temperature every 1,000 m of elevation. The temperature is 30°C at 304.8 m, 25°C at 609.6 m, 20°C at 914.4 m, 15°C at 1,219.2 m, and 5°C at 1,828.8 m. Make a graph of the data. Use your graph to predict the temperature at an altitude of 2,133.6 m.